Includes 2 bottles of juice (Opened, 90% full) 50mg Mango and Mint. 2 brand new batteries. 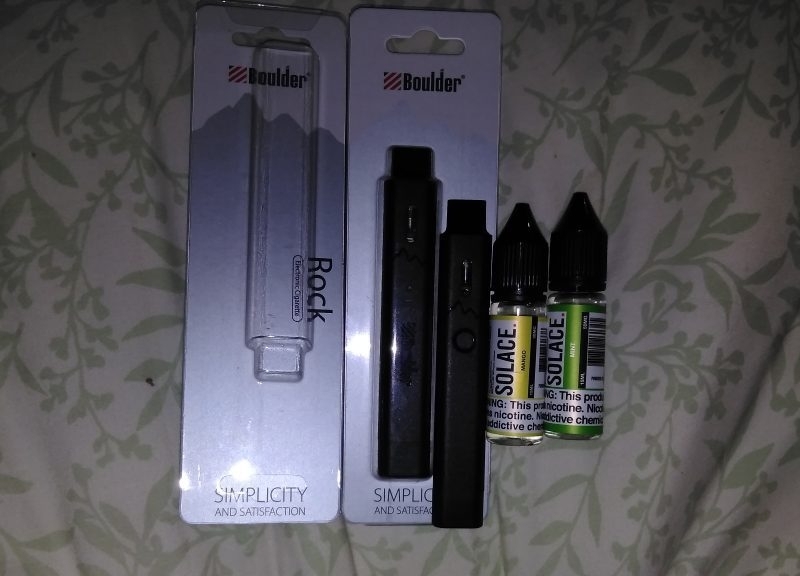 1 brand new pod and 1 barely used pod. I spent $60 on all of this. I'm asking half of what I paid. You can text 8645547205 to ask for details or call if you plan to buy this.